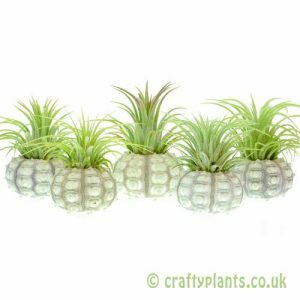 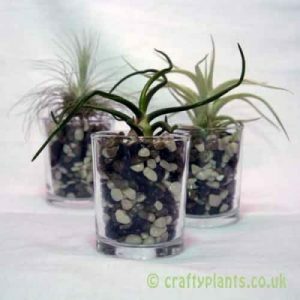 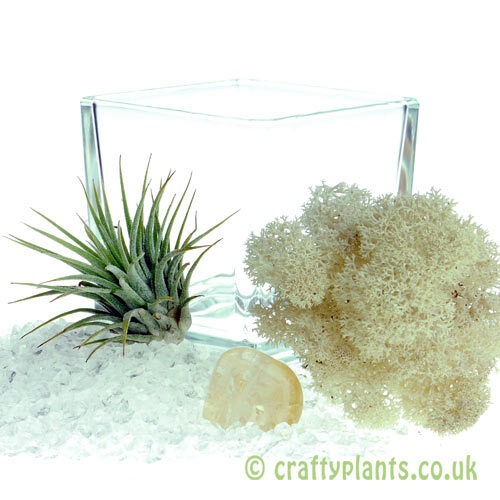 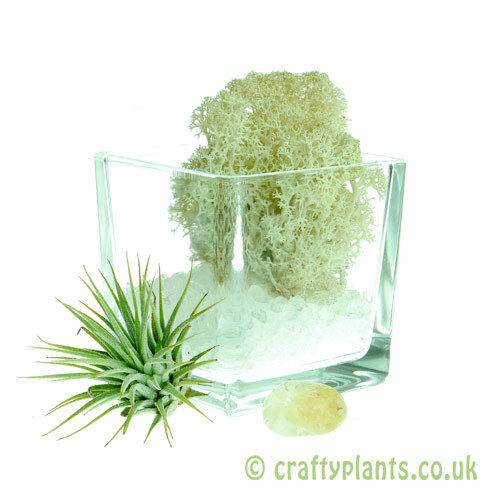 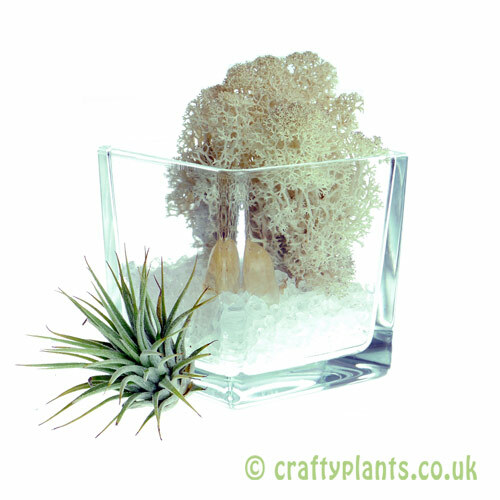 The Elements airplant cube kits make great table decorations and are a real talking point. 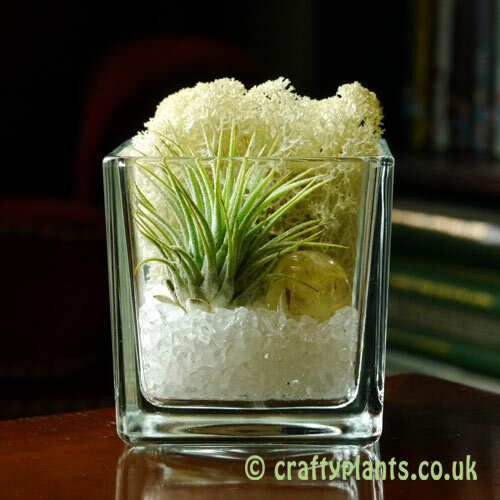 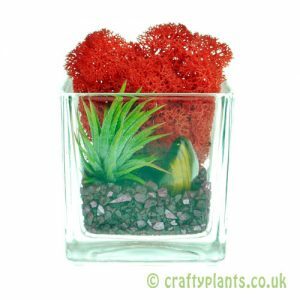 Their compact size makes them great for coffee tables, side tables and windowsills in the home and a fantastic addition to desks in the office. 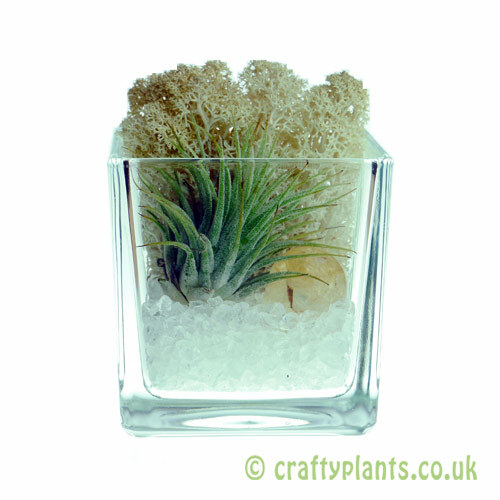 This Air themed arrangement looks great in bathrooms too! 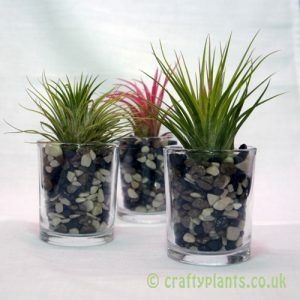 They can be assembled in under a minute and take very little effort to maintain. 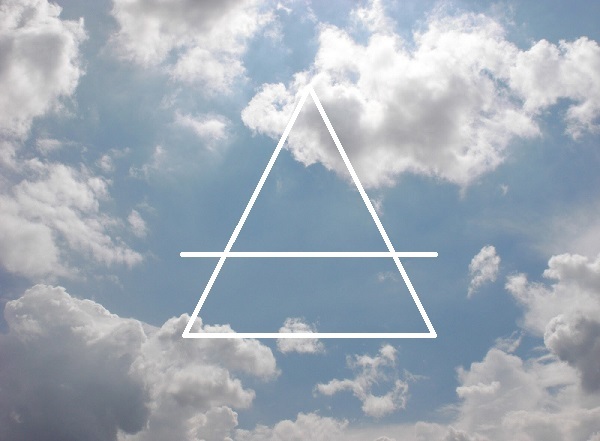 Air is one of the classical elements and is often seen as a pure substance leading to qualities such as vigilance, kind heartedness and optimism. 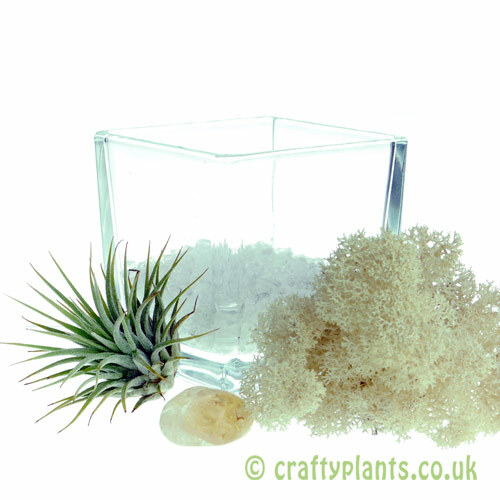 Linked with the astrological sign of Gemini the Elements Air kit comes with Citrine, a birthstone of Gemini which can help bring about the flow of positive energy vibrating with the solar-plexus chakra.